Lisa Van Deventer, has been appointed as a senior field sales consultant in Cape Town to continue the momentum and support in that region. 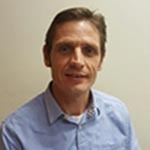 Dewald van der Merwe joins the Gauteng team as a field sales consultant. Heinrich Swanepoel has been appointed to the position of support technician to bolster support to existing and new customers. “We are pleased to make these staff announcements and trust the appointments will make a significant impact on customer service,” says Gus Brecher, managing director of Cathexis Africa. 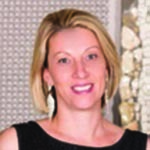 “The appointment of Lisa Van Deventer in Cape Town now provides us with a permanent presence in the Western Cape, and the new appointments in Gauteng will help to continue the growth curve in that region. The addition to our support department will also have a significantly positive impact on turnaround times and delivery,”he adds.